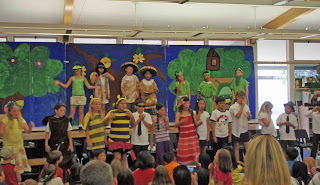 Renee Keeler's second graders at Lee Elementary School in Los Alamitos performed quite a production at the all-school celebration called Special Persons' Day. This is a year-end event featuring performances by all grade levels. 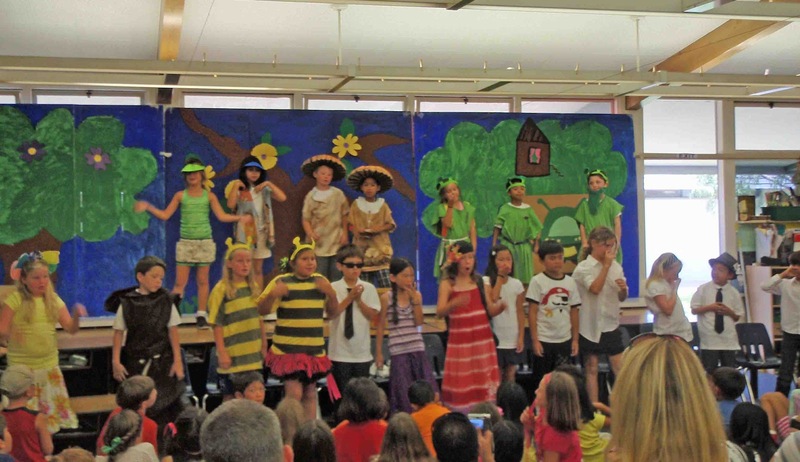 This year, Mrs. Keeler's class put on three performances of "The Garden Show," a creation of Bad Wolf Press. 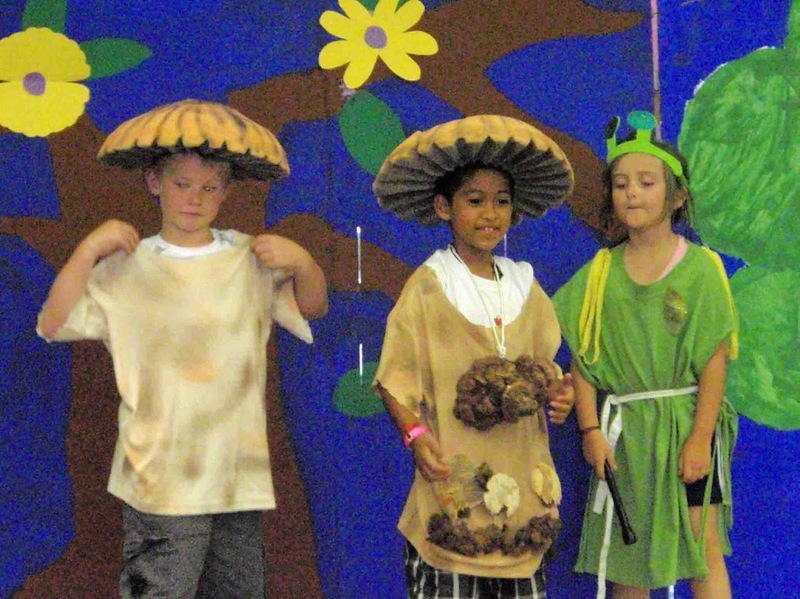 "The Garden Show" is a 25-minute play about what happens when "aliens" land in a local garden. After aliens from planet "Chlorophyll" land in a garden, they meet some new friends who teach them all about about soil, photosynthesis, pollination and the creatures who call the garden their home. We are pretty sure this is the only garden-related play in any universe that features a singing compost pile!